This week on A Taste of the Past, host Linda Pelaccio welcomes Lidia Bastianich to the studio discussing her newest book, “Lidia’s Mastering the Art of Italian Cuisine: Everything You Need to Know to Be a Great Italian Cook.” Teaching has always been Lidia’s passion, and in this magnificent book she shares the full benefit of that passion and of her deep, comprehensive understanding of what it takes to create delicious Italian meals. 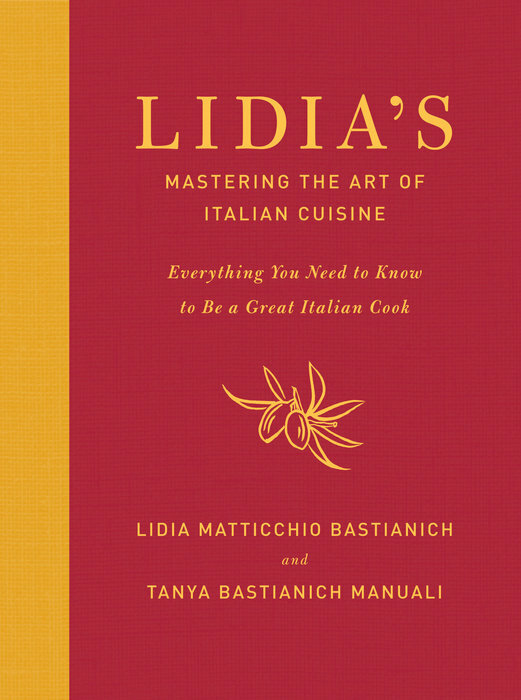 Lidia goes on to introduce the full range of standard ingredients—meats and fish, vegetables and fruits, grains, spices and condiments—and how to buy, store, clean, and cook with them. She also talks the comprehensive guide to the tools every kitchen should have to produce the best results. And she has even included a glossary of cuisine-related words and phrases that will prove indispensable for cooking, as well as for traveling and dining in Italy. There is no other book like this; it is the one book on Italian cuisine that every cook will need, and tune in to hear more straight from the source!